A huge trend at the moment is coloured mascara and eye liner and my favorite looks is using blue! 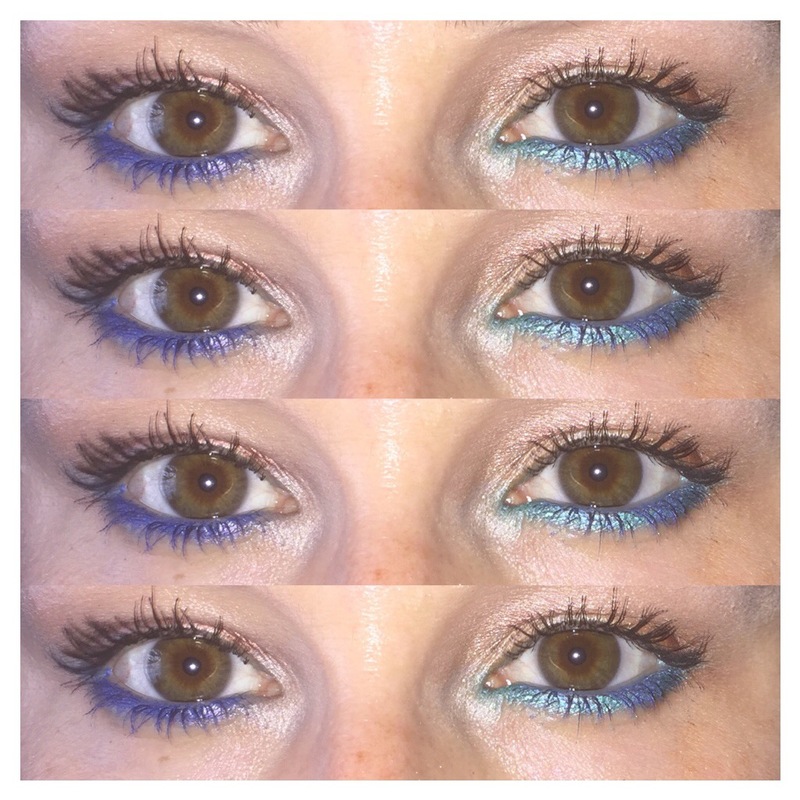 I picked up 2 blue eyeliners from MUA Cosmetics and a blue mascara from Collection and have created two looks using my Makeup Revolution Mermaids Forever palette. For this first look I have kept it fairly neutral gone for a brown smokey eye with a shimmery coppery gold on my lid. I have used the blue liner from Make Up Revolution to line my bottom lash line and waterline. I then set the liner using a blue shadow from the palette. I used the blue mascara from Collection on my bottom lashes and a Nars mascara on my top lashes. For the second look I have chosen to do more of a golden smokey eye keeping it very subtle but shimmery. I used reds to create a sunset look. I used a MUA liner in turquoise to line my lower lash line and then went over it with a shimmery sea foam green to give us more a mermaid look. Once again I used the blue mascara from Collection. My favourite look is the right, I love how the bottom lash line looks holographic and is so shimmery. This really reminds me of the ocean.